Are you interested in joining the North American Women's Club or attending a luncheon? Please contact Samantha for more information. 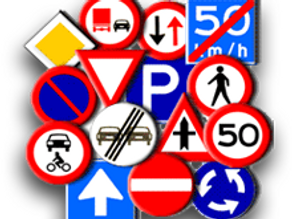 The emergency number for all emergency services in the Netherlands is 112! FIRST MONDAY OF THE MONTH ~ DON'T PANIC! The first Monday of each month at 12:00 the emergency sirens are tested. In the event of a real emergency go inside, close all doors and windows and listen to the television or radio for further instructions. Cute and Funny video for a "Self Breast Examination" reminder app for your smart phone. When Americans need emergency assistance from the U.S. Government outside regular office hours, they should phone 070-310-2209. Call collect from any country to (613) 996-8885 to reach the Emergency Operations Centre. Our Vision is: To get Eindhoven on the map by 2020 as a number one destination choice for international knowledge workers and their families. Our mission is: To create a living room space in Eindhoven for expats to enjoy a range of activities, relax and meet new people in a safe, comfortable environment. Our Goal is: To help expats socialize and integrate in the city of Eindhoven that you have now chosen to live. 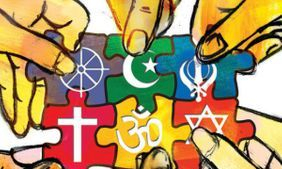 The Hub is an ex-pat organization with a large diverse membership. We host many different activities and special events in our club house through out the week. For more information please visit The Hub Eindhoven For Expats. The IWCE is a non-commercial, non-political and non-denominational organization that promotes networking between English speaking women from many different countries. Whether you’re new to Eindhoven or have been here for a while and have just discovered us, the IWCE can be a great way to meet new people or to explore new directions via our special interest groups. We currently have about 168 members from over 45 different countries. Although the official language of the club is English, with such a diverse group you’re sure to hear many different languages at any one gathering. We are an English speaking non-profit organization and we meet every second Wednesday at the Buurtcentrum De Rondweg, Camphuijsenstraat 1, Eindhoven from 9.30am to 11.30am. You can chat while your children play with the toys.We have a membership base of around 50 members from New Zealand, Mexico, Australia, Canada, Germany, Japan, The Netherlands, Austria, Great Britain, Scotland, Greece, Italy, The United States, The Philippines, France, and Indonesia. For more information please visit Mums & Toddlers. The main purpose of the Holland Expat Center is to help you settle in and familiarize yourself with your new living and working environment. They will assist you in completing formalities will inform you on services like housing, banking, education and leisure activities. 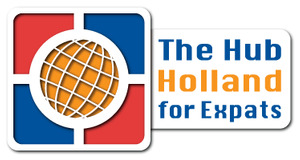 For more information please visit the Holland Expat Center. Driving in Holland is very different than in North America, especially because of the fact there are cyclists everywhere. For information regarding obtaining or transferring your current Drivers License please visit RDW/Information in English. 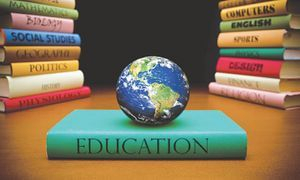 There are two international schools in Eindhoven. Christians of all denominations worship together in English every Sunday at 10:30 am at the Trinity Church in Eindhoven. Catholic masses in English & Spanish are held at the St Lambertuskerk in Eindhoven. 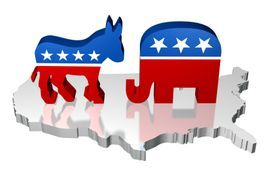 Democrats Abroad Netherlands is one of 70 country groups around the world, organizing local events and activities to encourage participation in the U.S. political process. Republicans Abroad Netherlands is a self-supporting and self-governing organization in The Netherlands. We believe in working to strengthen the time honoured tradition of the Dutch-American relationship through intercultural exchange and dialogue. Banking is done a little differently than home. There is no such thing as a personal check. The payee sends you a "giro" in the mail for the amount you owe. The "giro" looks like a filled-in check (pale yellow in color), you write in your bank account number (if it isn't already there), sign it, and simply send it to your bank. Your bank then sends the money to the payee's bank and the bill is paid. Or simply, you pay via internet banking. 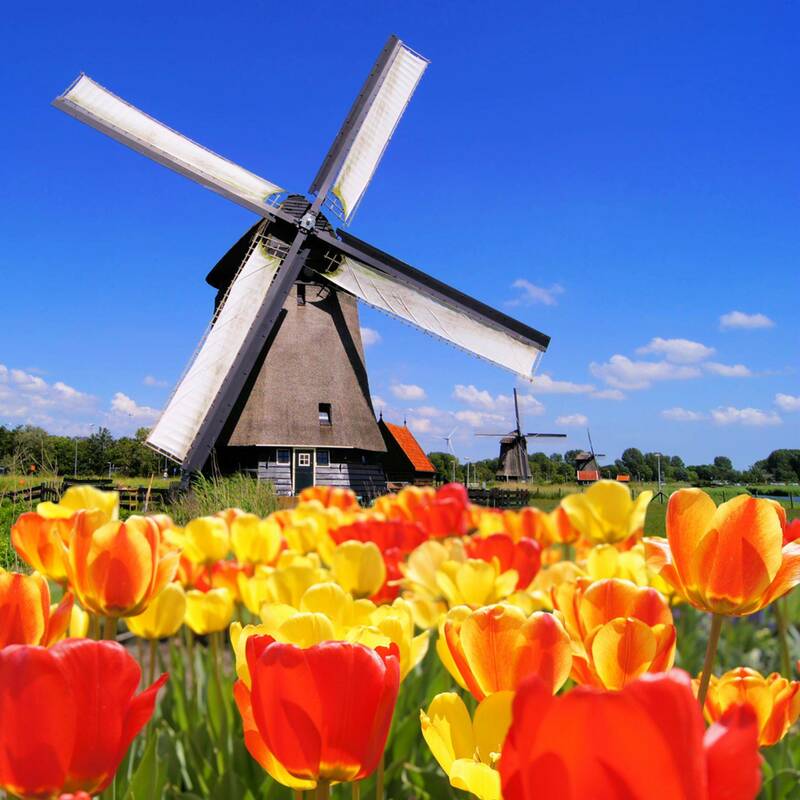 Most Dutch are paid once a month and the money is automatically deposited into their bank accounts. You'll receive statements once a month showing your balance, credits and debits. To open a Dutch bank account, you need your passport, residency card and letter from your employer confirming employment. ABN-AMRO (in Dutch) Offers statements and other information in English. 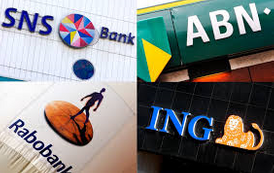 ING (in Dutch) the ING group also owns American banks in the USA. Kelly's Expat Shopping you can either visit them or order online. They have a variety of American, English, and South Western goods. The American Food Store is a family run shop located just over the border in Belgium about an hour away from Eindhoven. USFoodz.nl offers a wide variety of products & Free Shipping. 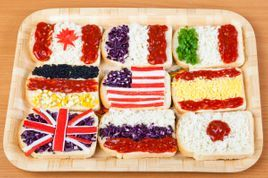 AmericanFoods4U is located in Germany and offers a diverse range of products. You may either visit their store or pay for shipping. 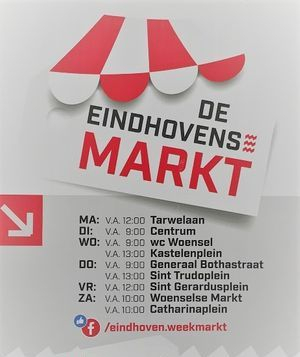 Eindhoven has many weekly Farmer's markets. For your daily groceries, fresh fruits and vegetables, gift items, fashion accessories and so on. Interested in what's going in the news here in the Netherlands. Visit DutchNews.nl. 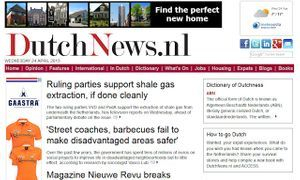 Daily Dutch news in English for international readers.